This guide is meant for users of School Loop SLS1 Standard. Your site comes with a locker for files and links and an image library for images. Files in your locker may be organized into folders and images into albums. These uploaded resources are available for use on any page of your site, including pages located in minisites or subfolders of your teacher site. 1. Navigate to your personal site from your Portal Page. 3. To Create an Image Album click the Add button and follow the simple on-screen directions. 4. To add resources to your locker, select File, Link or Folder from the Add drop-down menu. You can select images from your Image Albums, lockers, or hard drive when using both the Rich Text Editor and the Slideshow. 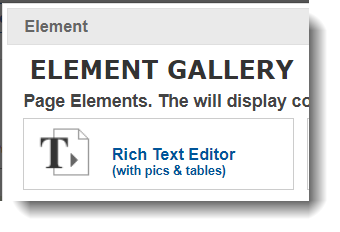 Access the Element Gallery by clicking the plus (+) icon on your website editing page. The Picture element, on the other hand, only allows you to choose images directly from your hard drive. Instructions for adding a Picture in the Rich Text Editor can be found here: Embed Pictures. When working with the Slideshow Element, you may choose any number of images from as many different albums as you wish. For best results, we recommend that all the images you upload for your slideshow have the same dimensions. JPG, PNG, and GIF image file formats are supported. You may also click the Site Map tab to view a list of all your available resources. To present a list of files for downloading, use the Locker Element. 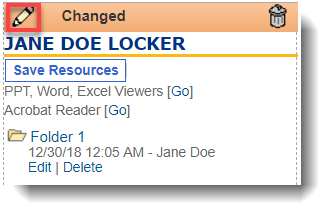 When you add a Locker Element to your teacher page, the locker and its title defaults to the current section. 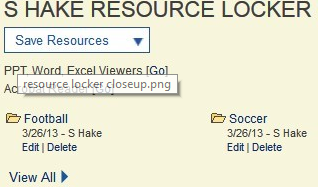 Click the pencil icon on the element to edit the title and select the locker or folder in the locker to be displayed on the page. To illustrate the flexibility of the Locker Element, let's assume that a teacher has created two folders in their locker - Chapter 1 and Chapter 2. Each folder is filled with the appropriate files for their respective chapters. When the Locker Element is selected, it defaults to displaying the full contents of the locker - as pictured below, on the left. 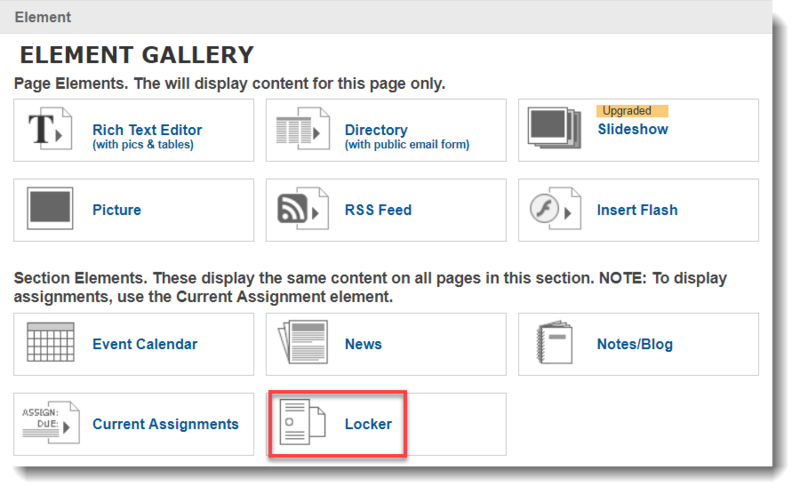 After clicking the pencil icon for the element, the teacher may select the Chapter 2 folder from the list of available lockers and folders as well as edit the name of the locker as it appears on the page. As pictured below on the right, the locker has been pointed to the Chapter 2 folder and renamed accordingly.